The use of a vehicle to transport children from their homes to schools dates back to the later part of the 19th century. In those days, there was no Wi-Fi or GPS tracking systems in buses. And these weren’t the buses as we see it now. Rather, they were simple wagons. They were popularly called “kid hacks”; Hacks referring to a kind of horse-drawn carriage. It was by the early 1900s that motorized school buses came into existence. But these were just trucks with tarpaulin drawn over them. This was introduced during the 1920s. Along with that glass windows replaced tarps, which were common at that time. Slowly, school buses started making an identity for themselves. 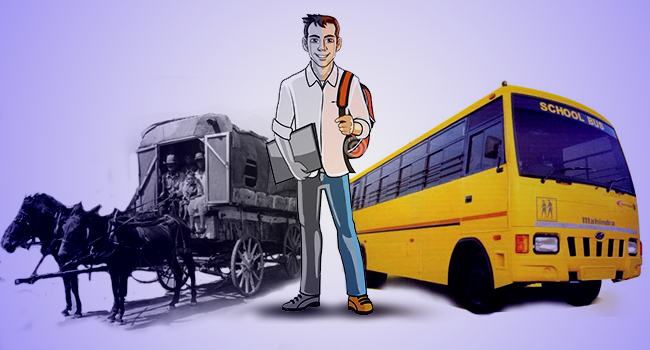 A century since the first ever school took onto the roads, the technology that a school bus uses now is quite advanced. The school bus looks were standardized so they could be easily recognized in public. 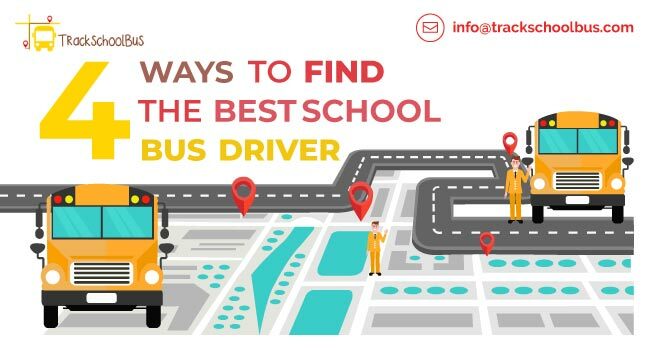 For instance, it was decided that the colour of school buses would be yellow-orange, as it was the most visible colour during the school bus working hours (at dawn and dusk). 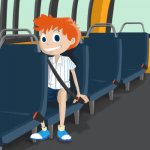 This has been widely accepted in most countries as either a part or whole of the buses is painted yellow. 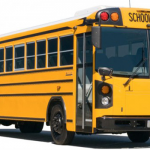 Modern buses are significantly advanced from the first “enclosed school buses”. It is provided with cameras that can record video as well as audio. This was introduced to monitor activities of students inside the bus. Some countries also use more than one camera with at least one placed outside of the school bus. 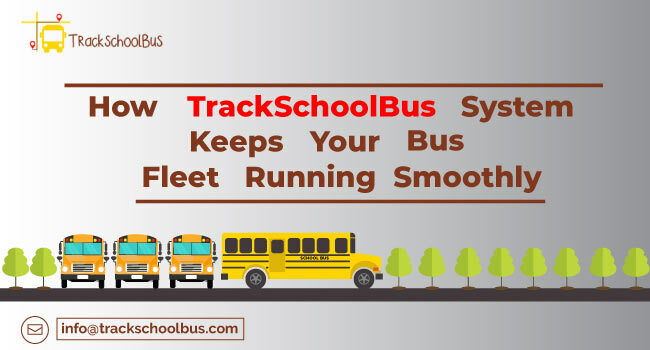 Some schools around the world have also started using Wi-Fi enabled buses and GPS tracking system. In 1827, the first school bus drawn by horse was introduced. The first school bus driver was George Schillibeer for Quaker school in London. It was designed to carry not more than 25 students. 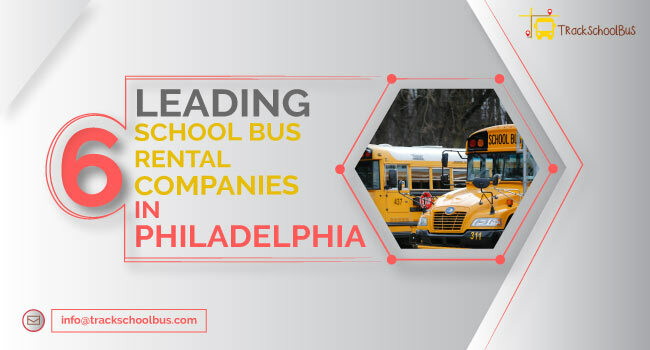 The company Wayne Works were the first in the United States to make school buses in 1886. These were mostly farm wagons used to transport children from the rural areas to schools. In extreme northern climates, sleds were also used. In 1914, automobile chassis were introduced to replace the “kid hacks” by Wayne Works. 1927 saw the introduction of an all steel body for buses. The closest relatives of the modern buses with glass windows in the passenger area were introduced in 1930. “California top” was the name given to them. 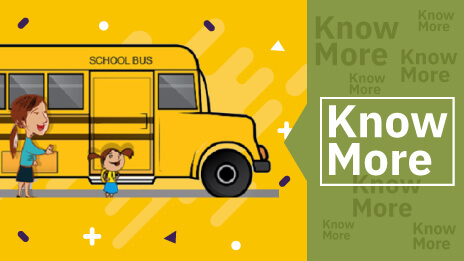 The earliest recorded use of traffic warning lights on school buses was around 1946. 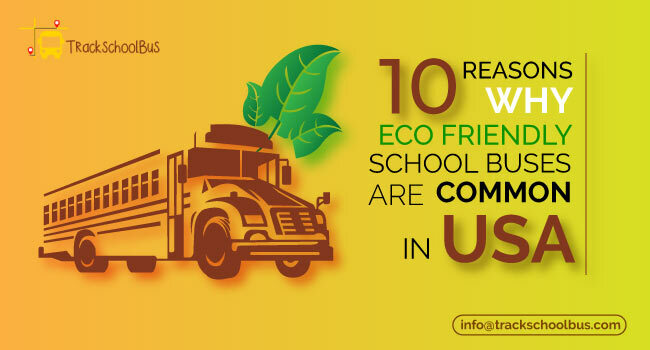 In 1959 the very first rear-engine diesel-power school buses were built. The 1980s and 1990s were marked by the introduction of reflective stripping, LED and strobe lights. The 21st century was more focussed on child safety issues and on tracking school buses throughout its journey. This called for new technologies to be used in school buses. 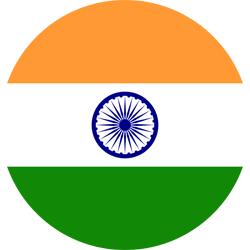 The most revolutionary inventions of this era would be Wi-Fi capability and GPS trackers. 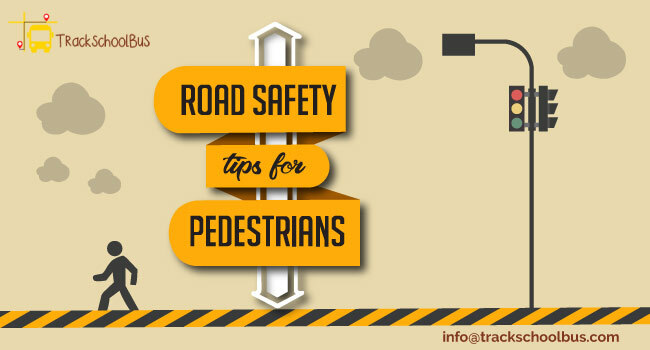 GPS tracking has helped to avert accidents and allow easy documentation. Its capability of providing real-time data has greatly improved responsiveness to adverse situations. 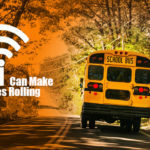 Now school buses also come with Wi-Fi systems. Students find this useful since they are powered by the Internet. They can do assignments and work on projects en route to school or home. Teachers can also communicate with their students with the advent of Wi-Fi. 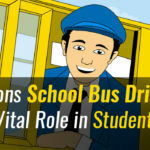 What the school buses would be 50 years from now is quite uncertain. With each new decade comes a new revelation in technology. But the use of GPS and Wi-Fi are certainly here to stay for a very long time. How Does GPS Vehicle Tracking Systems Work?